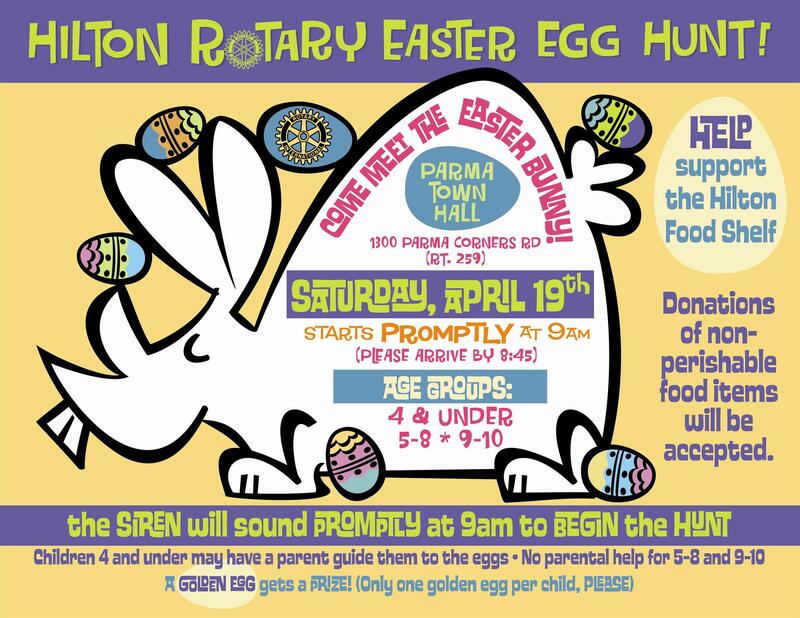 On Saturday, April 19th Hilton Rotary will host it's annual Easter Egg Hunt. Children ages 0 to 10 are welcome to participate. There will be over 2000 eggs stuffed with candy and golden eggs that can be redeemed for prizes. Hilton Parma Recreation will have a special guest as well.